This is a “gag” drawing. I wanted to hold the iPod in my left hand and make it look like it was taking an x-ray. (See below). I used Google image search to find several hand x-rays which I used to learn what x-rays looked like. Bones are denser on the edges. 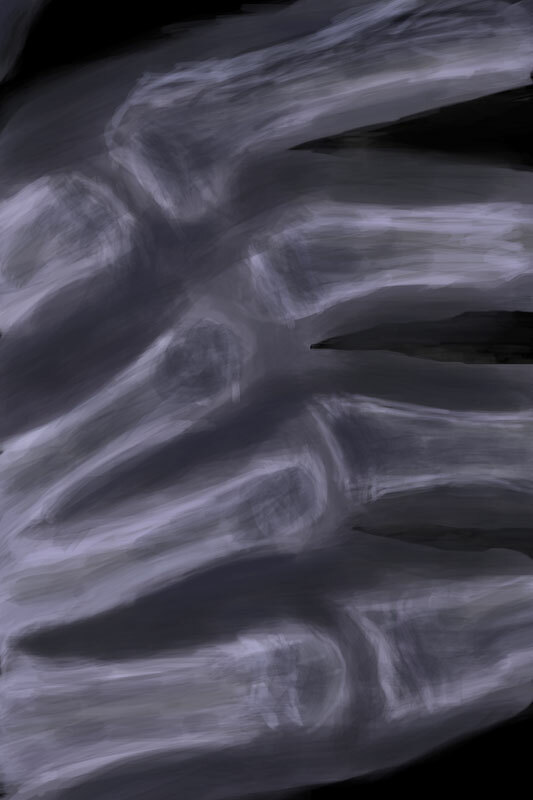 I then drew the hand outline to line up with my hand as I held the iPod and filled in the bones looking at the reference photos for ideas about detail and shading. 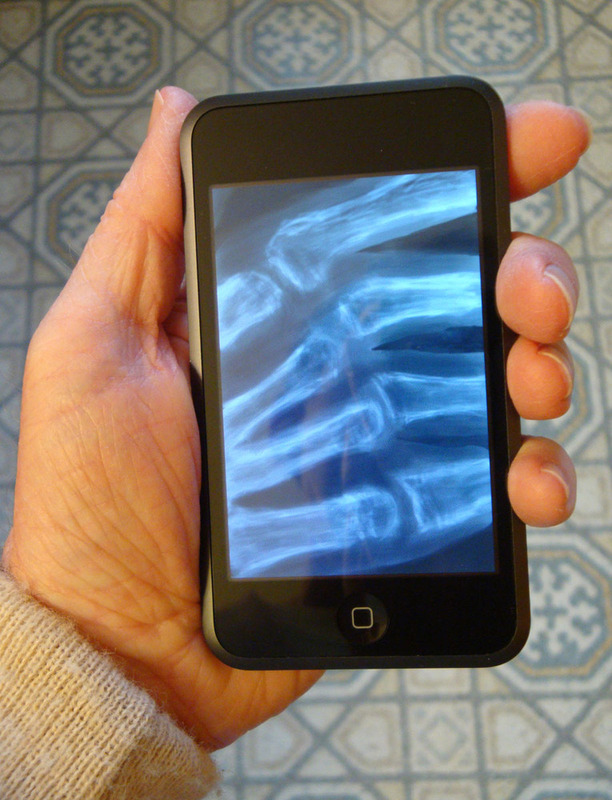 Later I discovered that several people had written X-Ray apps for the iPhone/Touch. So, the idea was not unique.